All Mail User Agent (MUA) such as Microsoft Outlook, Microsoft Outlook Express, Mozilla Thunderbird, Lotus Notes and many more allows users to compose, read, and send email messages. Both Outlook and Lotus Notes are desktop-based email clients that are widely used within organization and non-organization level. The nice thing about Lotus Notes is that it stores NSFs on the client and NSFs on the server but except that dealing with Lotus Notes is very strenuous. Lotus Notes has encrypted ID files that contains security information with .id file extension. During investigation, decryption and extraction of artifacts from ID files is a big challenge in front of investigators. Lotus Notes database gets saved into NSF (Notes Storage Format) file under the location: C:\lotus\notes\data. At times, when experts need to examine and sculpt evidence from Lotus Notes, the major challenge is to decrypt and password cracking of file. In such case, it is important to convert .NSF in other convenient accessible formats like Outlook data file, which can be opened and analyzed without any bindings. Free Lotus Notes to Outlook Migration is an advanced digital investigation forensics software that providing intuitive interface. It has scalability to migrate, archive, email e-discovery and recovery. The software has comprehensive investigation features like; multiple views of emails, recursive listing, advanced search, multiple export option. During investigation, experts require a tool that designed with a forensic algorithm to carve evidence and solve crimes committed by suspect. 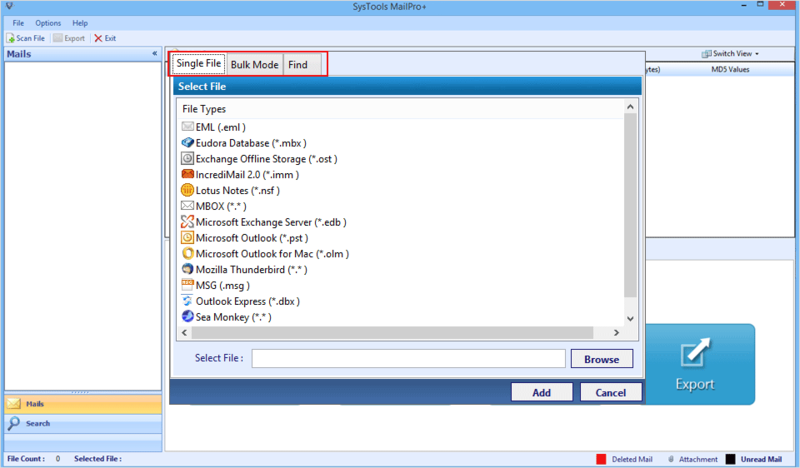 Download and install Lotus Notes to Outlook migration free tool on Windows System. The first window asks for creating a new case. Click on Create a New Collection to start the process. The software provides three ways to manage cases: creation of a new case, management of already existing case and further editing. After creating a case click on Scan file to add file. The software has ability of automatically browsing the required file format from the system. Once the scanning is done, you will get a preview of all email messages, contacts, calendar, tasks and journals in a hierarchy structure. Migrate Lotus Notes to Outlook 2013 tool is embedded with multiple view options such as Hex view, MIME view, HTML view, RTF view and many more that aid experts to view and analyze artifacts from every angle. The powerful and robust inbuilt search mechanism helps investigators to carve artifacts from bulk of files. In General Search, user can input either a single keyword or a list of keywords and click on search button to get the results. 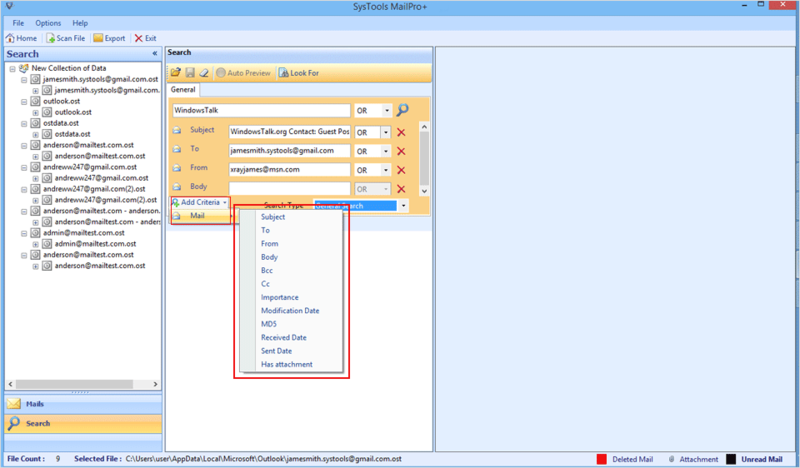 Click on Export option to migrate Lotus Notes to Microsoft Outlook file format. 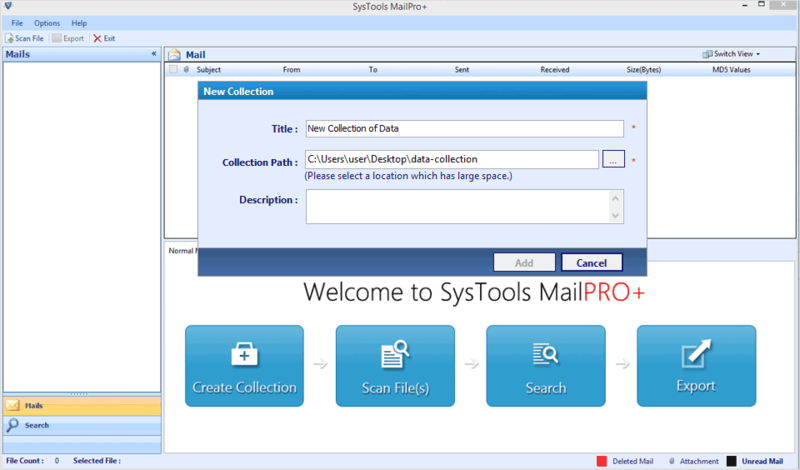 User has the facility to export desired email messages by checking or un-unchecking the checkbox of the respective folder. Now, click on Browse to provide the destination path for saving export result. Free Lotus Notes to Outlook migration tool ensures a full migration of Lotus Notes file to Outlook 2013, 2010, 2007 and 2003 data file without any data loss. It is a standalone utility that has minimal system requirements, that is of – 1 GHz processor, 512 MB of RAM and 50 MB of free hard disk space. It works with all versions of Windows Operating System such as 10, 8, 7, Vista and XP. So, it becomes very easy to migrate IBM Notes to Outlook 2016, 13 and all below versions.